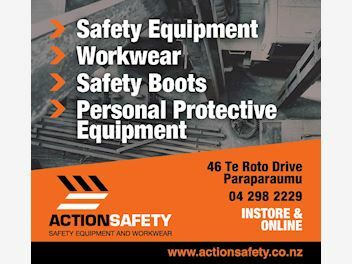 Helping Kiwis keep themselves safe since 1998 We Supply Everyone We supply Trade, Industry, Forestry, Education, Local and Central Government sectors and “Direct to the Public” with quality safety products and apparel so that they, and their workmates, have the best chance to stay safe and healthy. Quality Products We source our comprehensive product range from approved manufacturers and distributors who provide products and services that are compliant with, and often exceed, all current New Zealand Safety Standards. Trade Prices All website prices include GST. All goods are supplied with a GST Invoice so that you may claim the GST where applicable.